The for past three springs I've considered purchasing the "Lilac Blossom" candle from Bath & Body Works for one reason or another I've always ended up not purchasing it, either it's gone out of stock or the prices on eBay have gone crazy (which tells me it's a really good candle but I refused to pay it) Anyway, finally I ended up purchasing two of them whilst in Florida last week and now that I'm home, I totally wish I'd picked up tons of them. Obviously this is a floral scent but it's not in old fashioned kind of way, it's more like an authentic lilac plant way. We had a lilac plant by our front door (I say had because I didn't water it so it died) but it smells exactly like that. This candle gives off fragrance within minutes of lighting it which is particularly exceptionally fast, even by Bath & Body Works' usual standards. 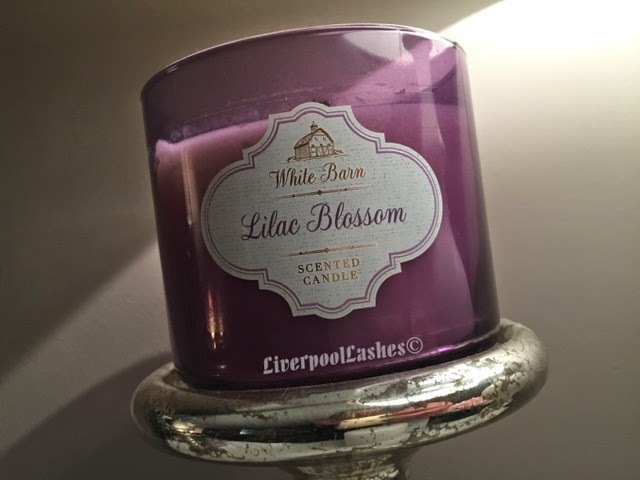 In the UK, the cheapest way of purchasing these candles are on eBay (expect to pay around £18) and if you want one, you need to act fast as this scent is now being phased out for the summer range to come in. The bottom line is, if you think you'll like this candle - get it. Don't hesitate. I absolutely adore it.